Isolated Integration Tests: Oxymoron or Best Practice? As I have progressed throughout my software career I have noticed a trend that proliferates through many aspects of my craft. 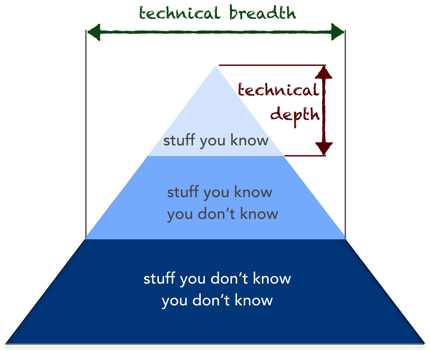 Specifically, that is the importance of not knowing every detail. For instance, consider the power in producing a useful abstraction. The power is derived not from the details you share, but the details you don't have to share. Since the word "abstraction" has many definitions, I will offer mine for the sake of clarity. 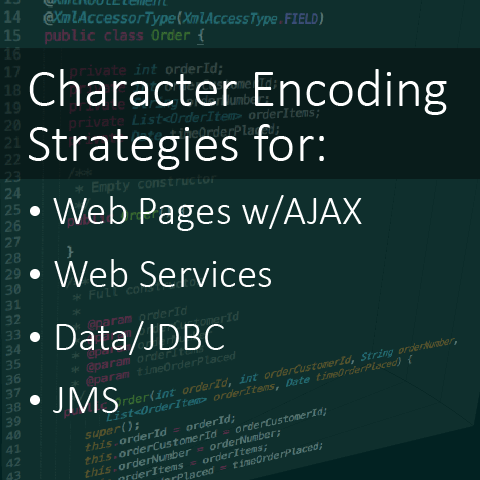 Why are we talking about character encoding? I know what you're thinking. "This has been covered before." or "Why are you dredging up a history lesson?". It has become clear over the past several years of my career that an astonishing number of developers are either unaware of or indifferent to character encodings and why it is important. Unfortunately, this isn't just a history lesson. Today, in a full stack developer's world, the topic of character encoding is more important than ever. The need to integrate in-house and vendor services with varying server and client technologies together into a reliable application requires developers to pay close attention to character encoding. Otherwise, you risk some potentially embarrassing production bugs that will cost your team valuable "street cred". The aim of this article is to reach back in the vault and remind everyone why this topic is still important. This is the second article in the EJB3 vs Spring series. I will be focused on the differences between Spring and EJB3 when exposing a simple SOAP service. In case you missed it, there is an explanation of my maven project layout in my first article, EJB3 vs Spring: Rest Services. As always, all of the source code is available for your perusal on github at https://github.com/jgitter/fwc. In order to get the most out of this article, you'll want to be familiar with SOAP and JAX-WS. Two good places to get started are http://www.soapuser.com/basics1.html and http://docs.oracle.com/javase/7/docs/technotes/guides/xml/jax-ws/.